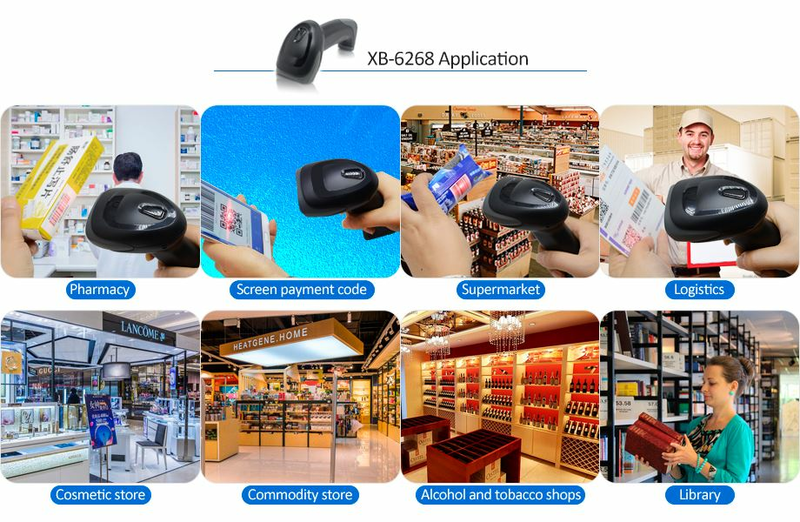 The 2d Barcode Scanner Pdf417 can scan 1D, 2D and PDF417 barcodes printed on paper labels or displayed on mobile devices or computer screens.It comes with a USB port and does not require any software updates. The scanner is plug and play, very easy to use and very durable. The 2d Barcode Scanner Pdf417 can scan 1D, 2D and PDF417 barcodes printed on paper labels or displayed on mobile devices or computer screens. It comes with a USB port and does not require any software updates. The scanner is plug and play, very easy to use and very durable. In addition, it is not only designed with an adjustable stand for automatic scanning of barcodes, but also with a comfortable manual handle. 2d Barcode Scanner Pdf417 decodes the bar code. Firstly, the bar code symbol image is obtained by camera or scan, and then the bar code image is preprocessed to achieve the effect of denoising smoothing, and then decoded according to the PDF417 bar code encoding rule to realize bar code recognition. The 2d Barcode Scanner Pdf417 has powerful decoding capabilities to read all major 1D and 2D bar code symbols. It is equipped with a USB cable, plug and play, supports RS232, PS2 and USB interfaces, and is suitable for all POS systems. Its ergonomic, lively and stylish design with a stable plastic stand makes it easy to install.